The holidays came and went too fast that I was having a hard time catching up in posting Christmas events here. But these moments are just too special to not document. This is my first Christmas as a blogger. Let me share to you how online writers celebrate the Holidays while working. 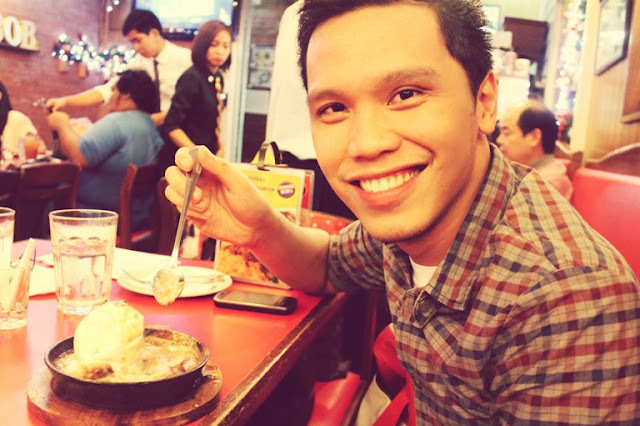 With the goal to try something new this holidays, I tried Tender Bob's Sizzling Ice Cream. dessert the benefit of the doubt. It's not for everyone. Try it and only then we'll if it will suit your taste. DECEMBER 8, 5th Day of Christmas. 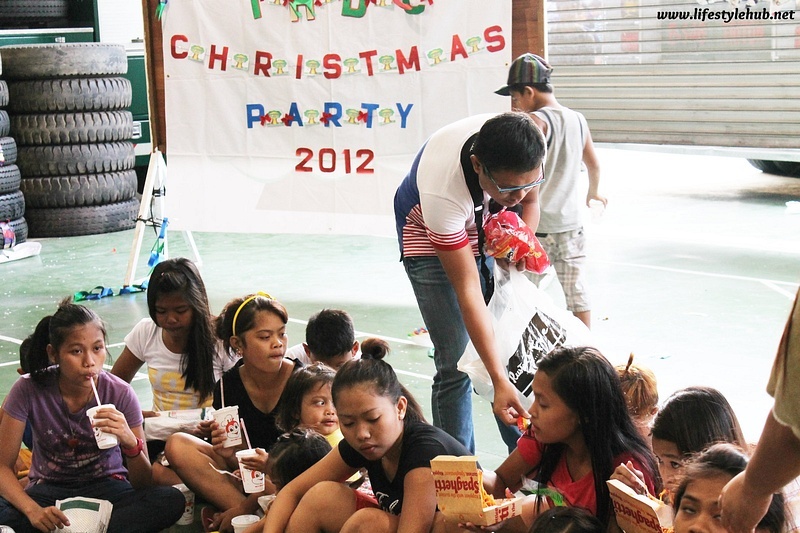 My Christmas was marked with charity too. dedicated to the kids of his Day Care center Tree House. 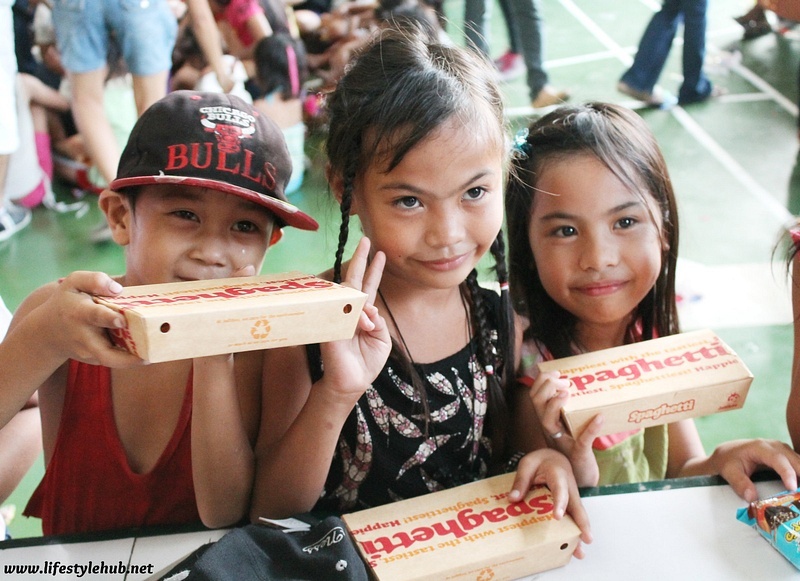 Blogger friend Ely of Elysplanet.com was actually having fun distributing candies to the kids. Truly, Christmas is for children. DECEMBER 4, 1st Day of Christmas. 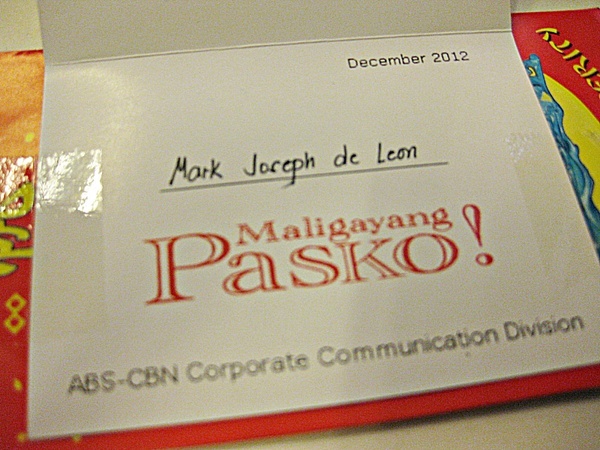 The day I welcome Christmas was during the ABS-CBN Press Christmas Party. 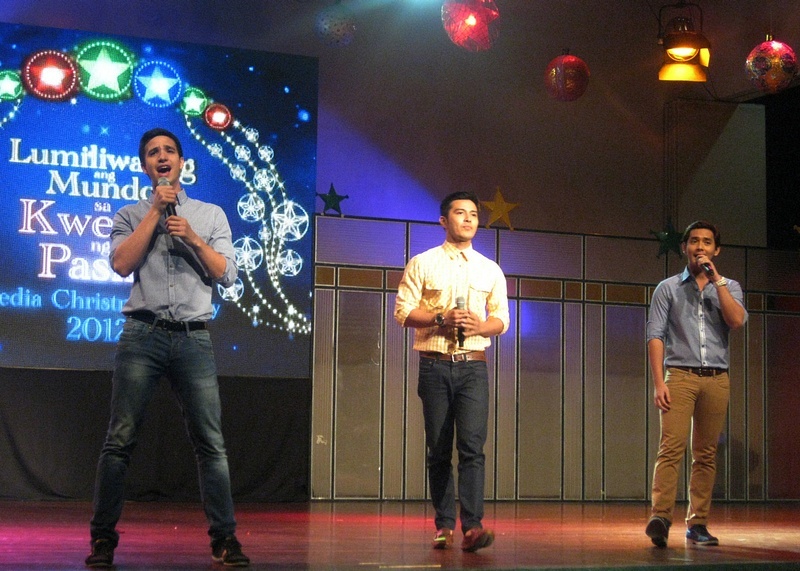 It was then when I actually had fun and sang a Christmas carol for the first time. I got my first Christmas present that night too! 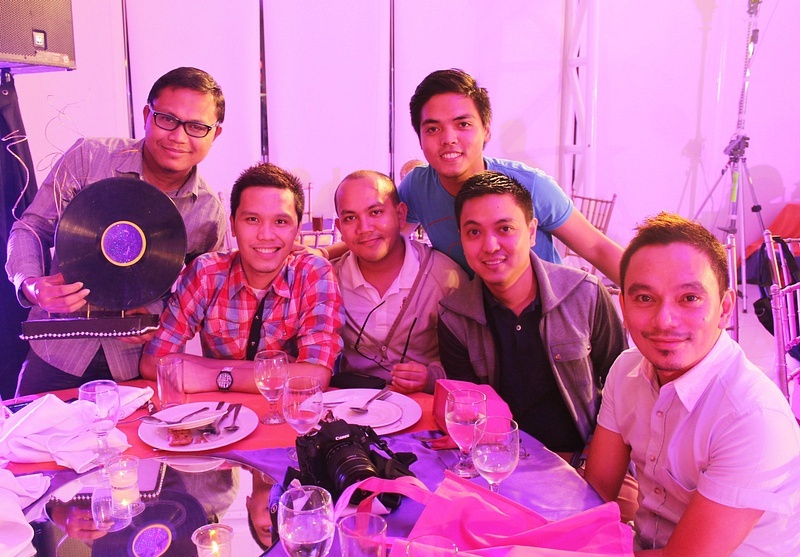 serenaded the members of the press & select bloggers. DECEMBER 6, 3rd Day of Christmas. which was my color and actually meant a gift from TV5. 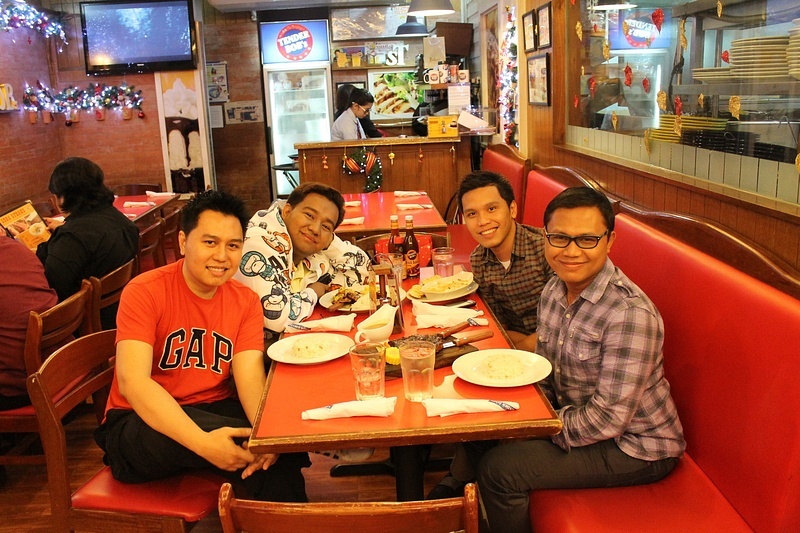 Fellow online writers gathered in one table and were join here by TV5's PR Office Luigene. Indeed, 'Tis the season to be jolly! 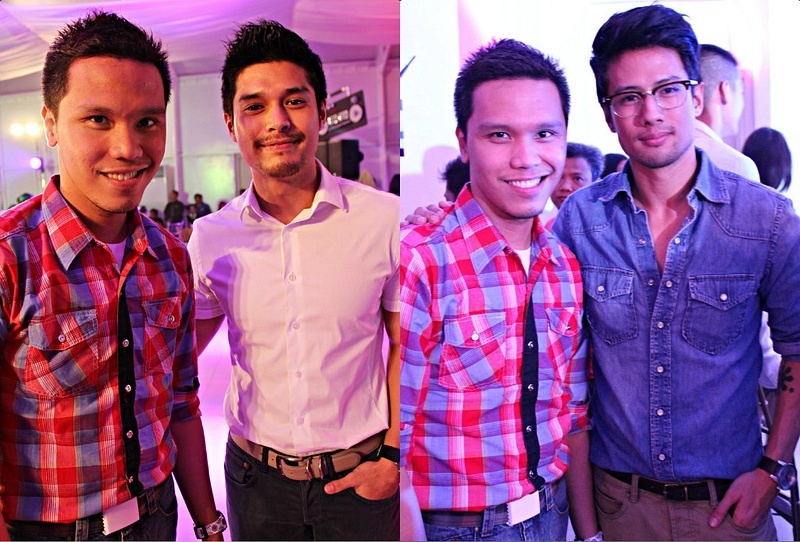 and the equally desirable John James Uy. DECEMBER 20, 18th Day of Christmas. 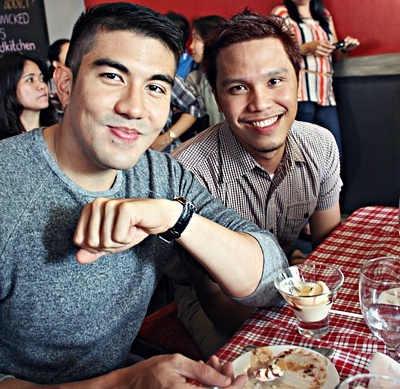 Another Christmas surprise: Lunch with Jennylyn Mercado and real-life boyfriend Luis Manzano. DECEMBER 15, 13th Day of Christmas. 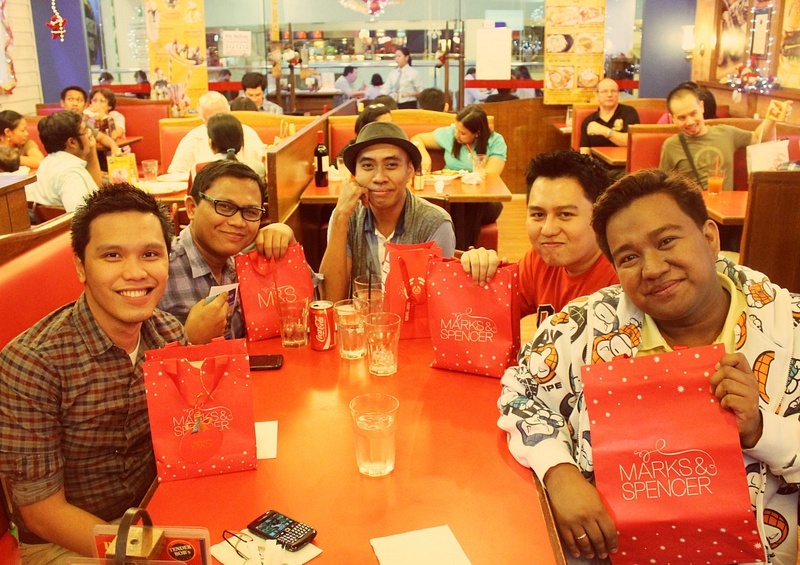 Dinner with blogger-friends at Tender Bobs- Shang Mall. 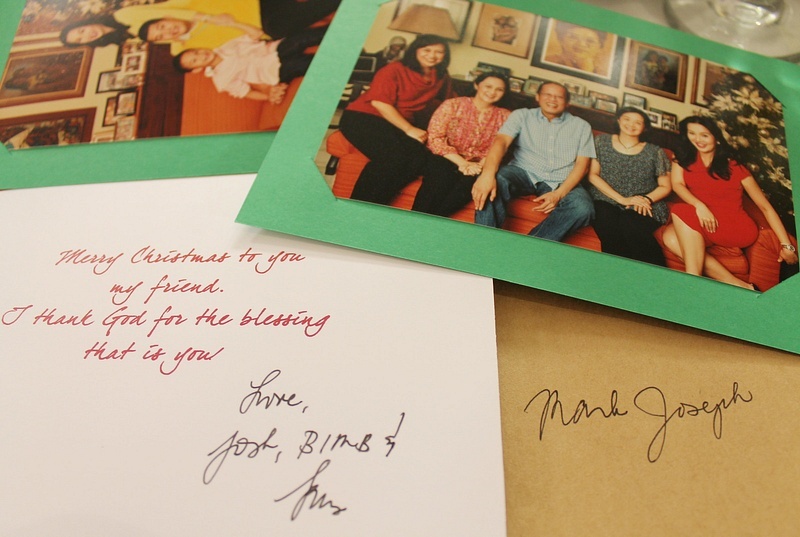 Here's one thoughtful gesture from the Queen of All Media herself, Miss Kris Aquino. Though late, you have the option to still think today as part of the Holidays. 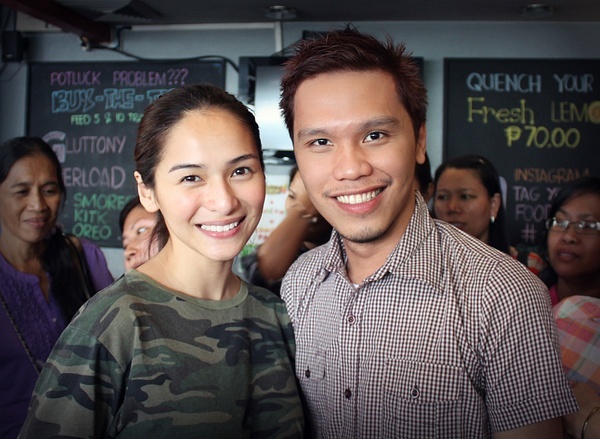 Here's a greeting from real-life celebrity couple Luis and Jennylyn.